There’s nothing enjoyable about sharing our country with dreaded, eight-legged creepy-crawly spiders, but that’s the reality of living in Australia. That’s why it’s worth knowing what to do when someone is bitten by a spider. Now, as Australia is home to more than one dangerous spiders, we’re going to provide some treatment options for both general spider bites, as well as bites from both a red-back spider and a funnel-web spider. In ALL spider bite cases, regardless of what kind of spider might have bitten your patient, it’s important to follow the DRSABCD protocol. This means you need to check that both you and your patient (as well as others) are not in Danger. You need to check your patient’s Response, and if they are unresponsive you need to put them in the recovery position and Send for help by calling Triple Zero (000). Make sure your patient has a clear Airway and is Breathing normally. If not, commence CPR, and if necessarily Defibrillation. After following the DRSABCD protocol, lie the patient down and make sure they are calm. It’s important for them to remain still, and avoid going into shock. For general spider bites, that is bites not caused by a red-back spider or funnel-web/mouse spider, treatment is straightforward. You need to wash the bitten area with both soap and water before applying an icepack, or other cold compress, to the area in order to relieve the pain. It’s important to seek medical attention if at any point the patient develops any severe symptoms. Here are some first aid procedures on how to treat a spider bite. 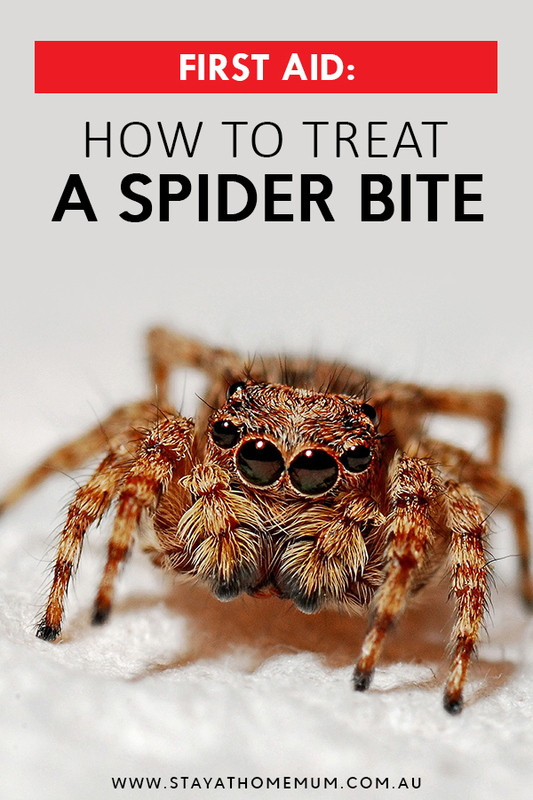 Treating a red-back spider bite is a little different from treating a normal spider bite. 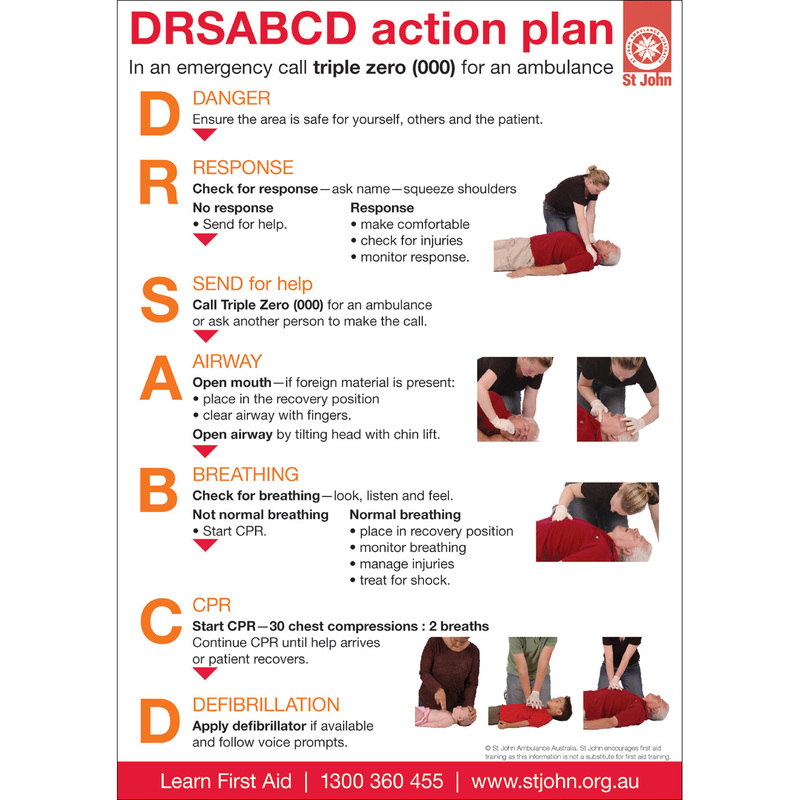 You still need to follow the DRSABCD protocol, call for help and calm the patient. Then, instead of washing the bite, simply apply the icepack directly to the bite to help relieve the pain. If serious symptoms develop, seek medical help immediately. Due to the severity of a funnel-web spider bite, it’s an absolute must to call an ambulance when you’re following the DRSABCD protocol. Once the patient is lying down and calmed, it’s important to do the following while you wait for the ambulance to arrive. First, if the bite is on a limb (the most common area), you need to wrap the area in a broad crepe bandage. On top of that bandage, you then need to wrap a heavy crepe bandage, or an elasticised roller bandage. Wrap the area starting just above the fingers or toes of the bitten limb, going as far as you can reach. It’s important that the wrap be tight, but it shouldn’t shop blood supply to the bottom of the limb. Once the leg is wrapped, you’ll need to make sure the patient keeps absolutely still by installing a splint onto the limb. After you’ve done this, stay with the patient and keep them calm until the ambulance arrives. What other methods you know that are proven effective to treat spider bites? All First Aid information in this article was sourced from the St. John Ambulance Australia website. You can read more about First Aid treatments and courses here. Remember that in an emergency always dial Triple Zero (000) for assistance.